If you’re seeking a home improvement option to transform your living space instantly, flooring is an excellent choice. Creative flooring offers a wide array of options that express your unique personality and lifestyle. With 37 locations, Bargain Outlet is your go-to source for everything home improvement-related, whether you’re shopping for new doors and windows, kitchen cabinets, or other innovative improvements. Bamboo: Exotic woods transform your floors into a state-of-the-art sanctuary. Not only are they a creative option, but woods such as bamboo offer other benefits as well, including long-lasting durability, insulation, and an extensive selection of color choices. Ideal for those who want the experience of a tropical getaway without ever leaving the house, they create a relaxed, laid-back feel that works perfectly with a wide range of decor styles. Colored Hardwood: Hardwood doesn’t have to be boring. Go beyond the basic wood look by adding some color. Stains allow you to choose from a wide selection of shades, with darker colors currently on the rise. 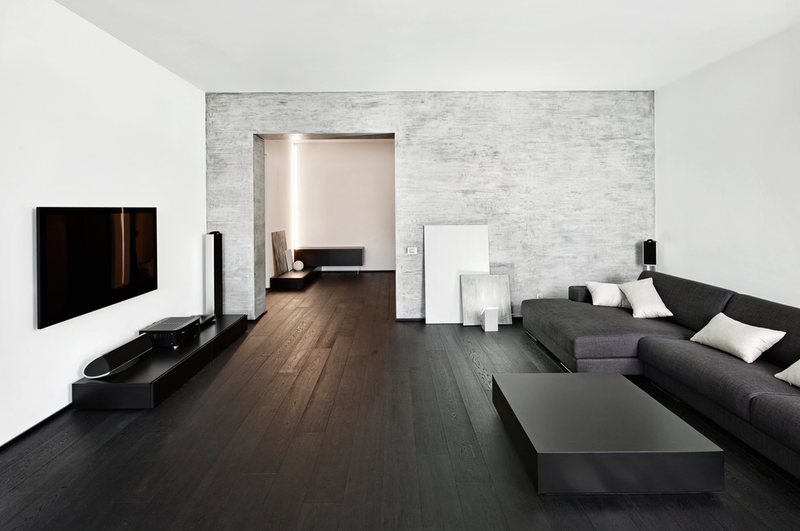 Black offers an excellent minimalist appearance while white offers a stark contrast against colorful decor. With colored hardwood, you have options to suit space’s style. Painted Flooring: If you’re a home improvement guru, painting your flooring offers almost any option you can think of, only limited by your imagination. Use stencils to create shapes and patterns, paint one-of-a-kind designs to match the decor, or choose something entirely different to please your inner artist. Whether you have flooring questions or you’re considering new doors and windows, the home improvement experts at Bargain Outlet will help you select the best supplies for your unique space and style. Visit the website to discover your options and find the location nearest you.